Clean Energy Canada, an initiative of the Centre for Dialogue at Simon Fraser University, is committed to inspiring clean energy solutions for businesses and policy in Canada. Since launching in 2010, Clean Energy Canada has experienced rapid growth in capacity, audience and influence. 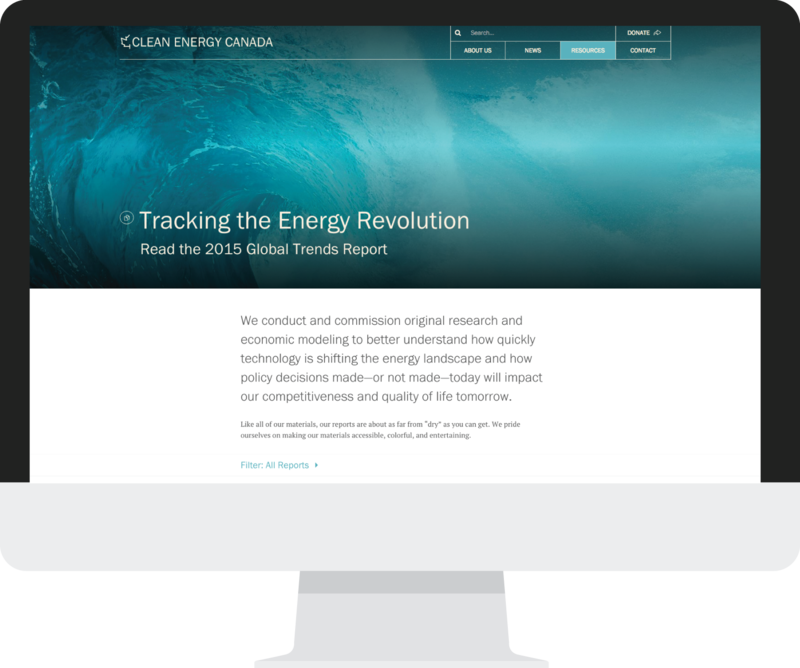 The team had outgrown its brand and website and engaged Signals to help position Clean Energy as the credible and authoritative source for energy policy change in Canada. 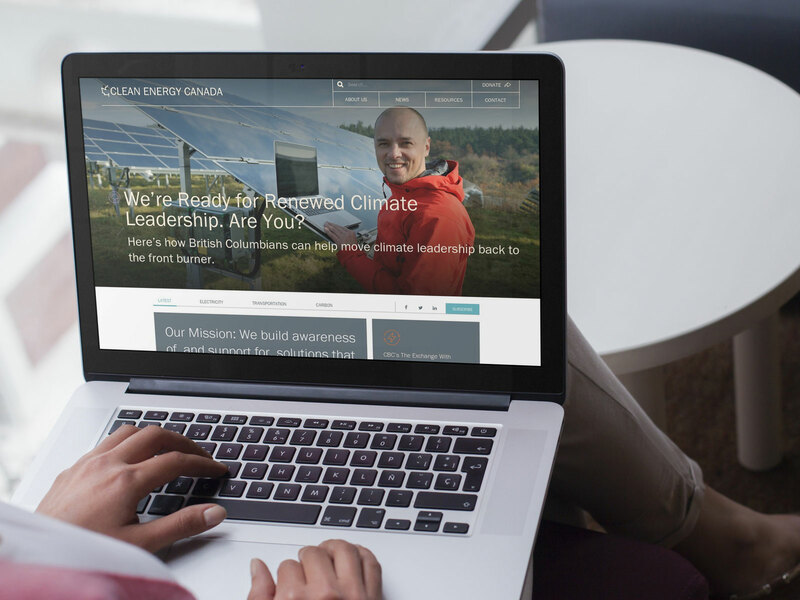 We refreshed the Clean Energy Canada brand platform and developed a new corporate site that matched their level of innovation and thoughtfulness. In addition to launch of the website, we’ve worked with the communications team to develop a series of reporting templates to help promote their work. Since launch, there has been a 326% increase in mobile traffic, 131% increase in page views, and a 54% increase in social referrals. 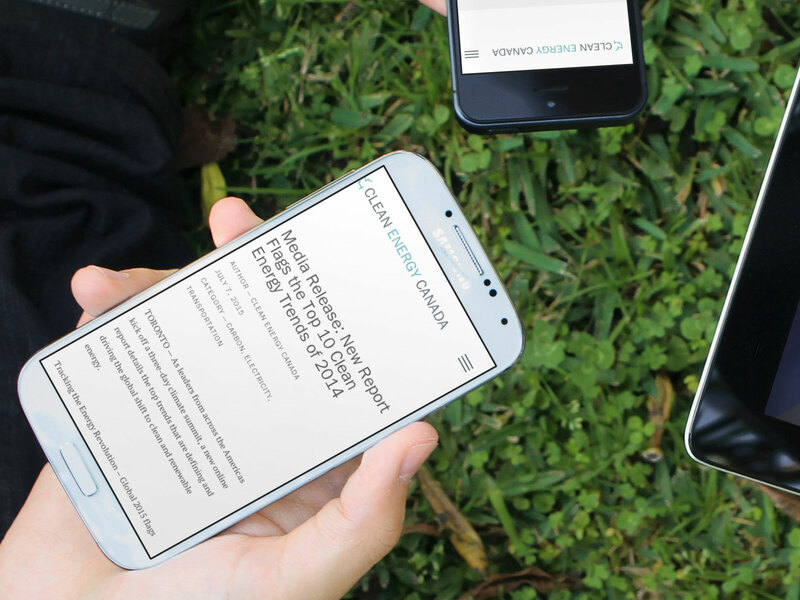 A key objective of the new site was to drive valued website visitors to signup for CEC newsletters. In the first month alone, subscriptions increased 92%. 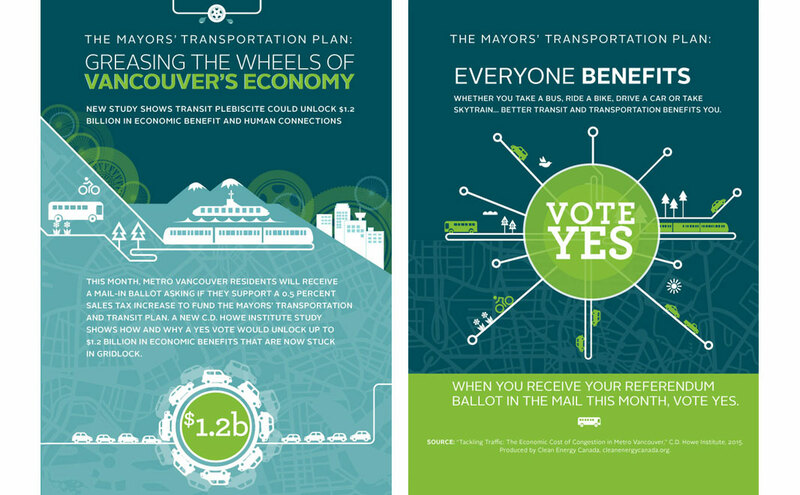 Beyond increasing traffic and deepening engagement, the site has garnered enthusiastic comments from national politicians, academics as well as hundreds of mentions from clean energy thought leaders, influencers, and advocates. 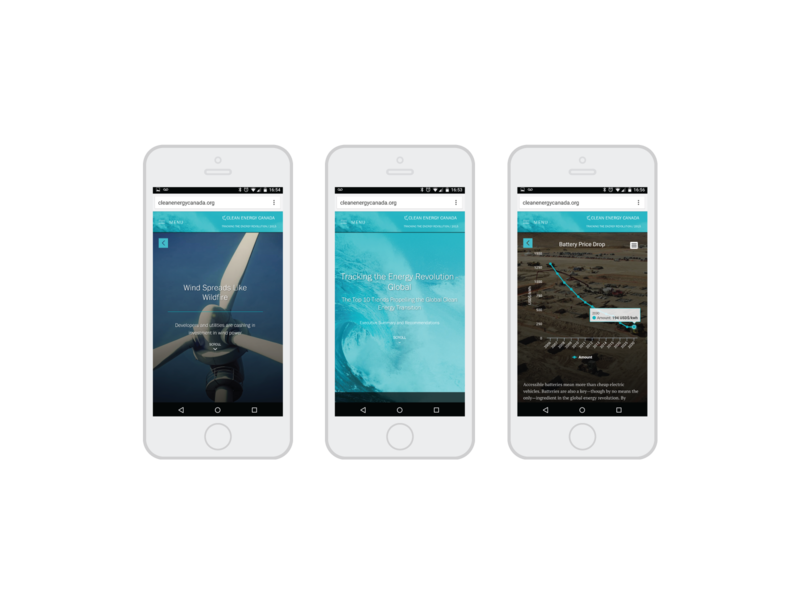 In addition, we planned and executed a campaign for their flagship “Tracking the Energy Revolution” report, with visitors spending over 8 minutes on average on the site. Clean Energy Canada’s refreshed identity reflects the initiative’s credible, evidence-based approach to accelerating Canada’s transition to clean and renewable energy systems. The logo strives to position the team as Canada’s leading authority on the clean energy economy. We chose a vibrant supporting colour palette to communicate the fresh perspective and original research. We also developed a series of custom icons to represent their clean energy program areas.